Just when you thought you had finally caught up to the rest of the world by upgrading to a 3G phone, 4G is barreling towards us faster than anticipated. On Thursday, Verizon revealed that it would introduce its first 4G handsets sometime around the summer of 2011, six months earlier than it had previously expected. 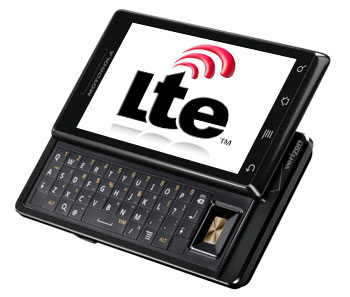 Verizon CTO Anthony Melone told the Wall Street Journal that 4G Long Term Evolution (LTE) service on Verizon’s networks could roll out in some areas by the end of the year, with actual handsets that make use of it to follow shortly in 2011. While both Sprint and Clear already offer 4G data plans using competing WiMax technology in the United States, the service is only currently usable with wireless modems. Neither offers a phone to take advantage of the next-generation network. Sprint claims it will be the first to do so when it rolls out its very first 4G handset this summer. In the past, Verizon has hinted that its LTE network should provide speeds somewhere between 5 and 12 Mbps. That’s a significant leap from the 1 to 3 Mbps most users experience with existing 3G networks, but it could come with strings attached. Melone claims the days of unlimited, unmetered data plans are numbered, meaning the first LTE data plans could come with tiered pricing to reflect how much data users consume.